Foliage plants are a mainstay at Harvey’s, with fresh products arriving daily. 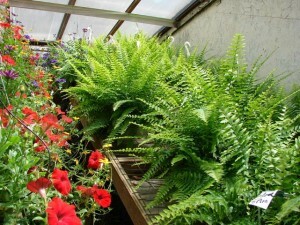 The shop has three greenhouses full of seasonal plants and offers a nice selection for the customer to choose from. Harvey’s carries everything from spring bulbs, to summer annuals, to fall mums to holiday poinsettias. We also carry vegetables and herbs. Harvey’s is also the areas premier supplier of European baskets. So whether you are landscaping your yard or planting a vegetable garden stop by our shop on Main Street and check out huge selection. You won’t be disappointed! Our selection of seasonal plants is varied and vast. 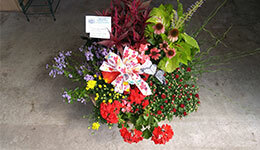 Harvey’s offers hanging baskets, annuals and perennials. We are open year-round for all your gardening needs. 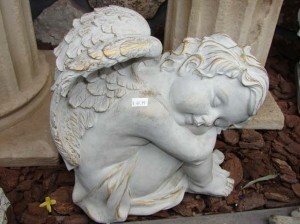 If you are looking for something to add a unique flair to your landscape be sure to check out our statuary. We have something to fit every yard. Harvey’s also carries a large selection of houseplants. 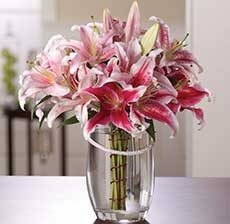 What better way to say “Thank you” then with a fresh, beautiful plant.